Glamour-loving Hens will approve of these gorgeous pink and rose gold party plates from our Glitz and Glamour collection. The perfect way to add a touch of sparkle and sophistication to your celebration. 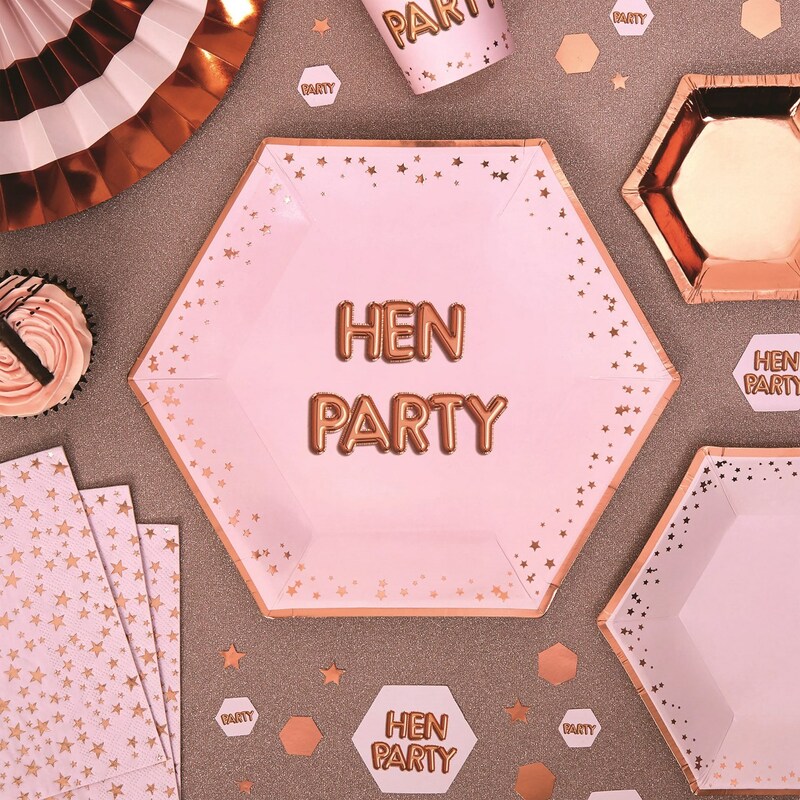 Enhanced with a sprinkling of rose gold foil stars and a ‘Hen Party’ balloon style logo, the plates can be co-ordinated with other items in the collection to create a gorgeous look for your special day. Each pack contains 8 Plates, measuring 270mm.